The China-U.S. 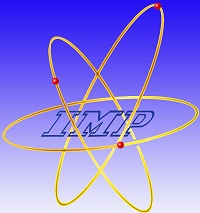 Theory Institute for Physics with Exotic Nuclei (CUSTIPEN) has been established in order to facilitate collaborations between U.S. and Chinese scientists whose main research thrust is in the area of the physics of nuclei. U.S. participation in CUSTIPEN is in the form of travel grants and subsistence grants to those individuals who are interested in collaborating with Chinese scientists. CUSTIPEN’s purview is in the area of physics of or with exotic nuclei, including nuclear structure and reaction theory, nuclear astrophysics, and tests of the standard model using exotic nuclei. 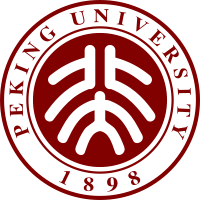 While CUSTIPEN primarily focuses on theory collaborations, experimentalists with theoretical collaborators in China are also encouraged to apply. Funding for CUSTIPEN is being provided by the Office of Nuclear Physics of the U. S. Department of Energy through Texas A&M University-Commerce. Dr. Bao-An Li is the Principal Investigator. Additional local support at CUSTIPEN is provided by Peking University and the local expenses for visiting Radioactive Beam Facilities in Lanzhou will be supported by the Institute of Modern Physics, Chinese Academy of Sciences. Local expenses for visiting collaborators at other locations will be supported by your Chinese collaborators. If you have an interest in forging new or continuing collaborations with Chinese colleagues, this travel grant is for you. Ph.D Students and postdocs are strongly encouraged to apply.CUSTIPEN supports both short-term trips and longer term visits. For further information about applying for a travel grant, see "Policies" and "Application Form".